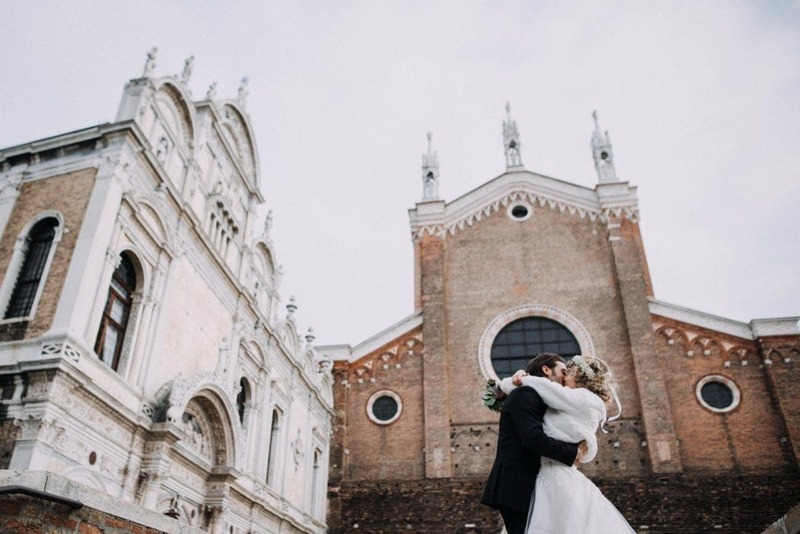 I think elopement weddings are some of the most beautiful, romantic and personal ways to get married. 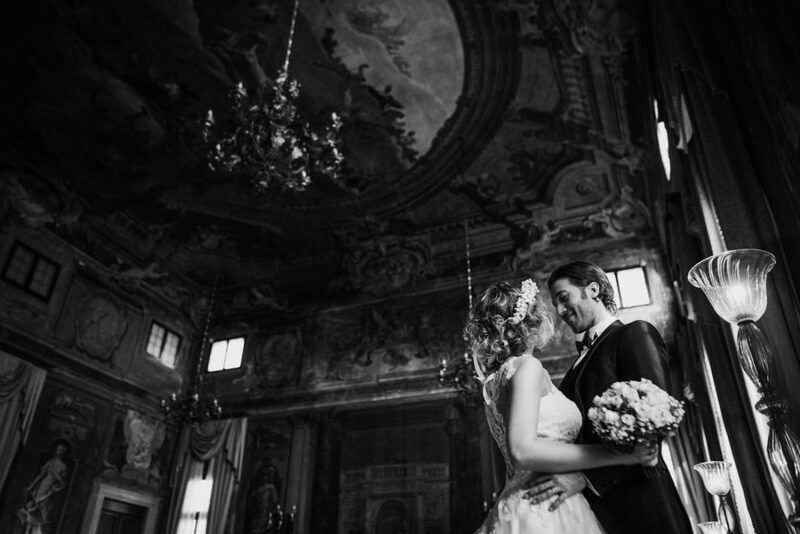 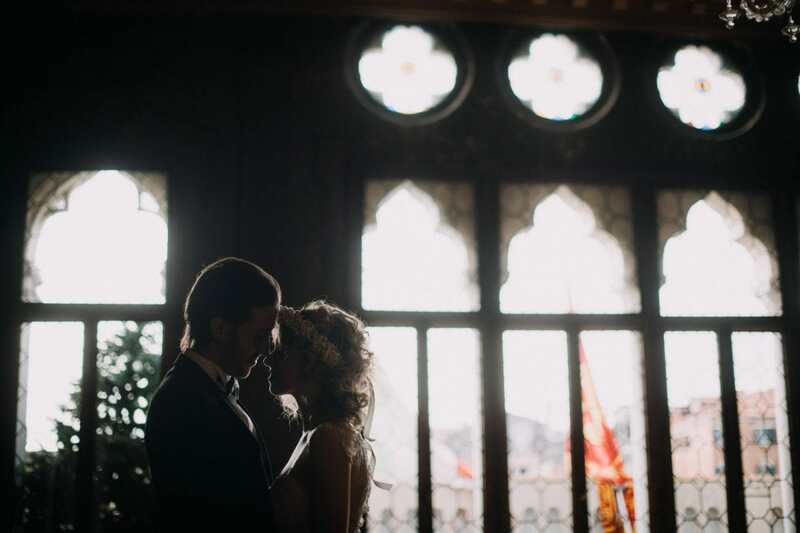 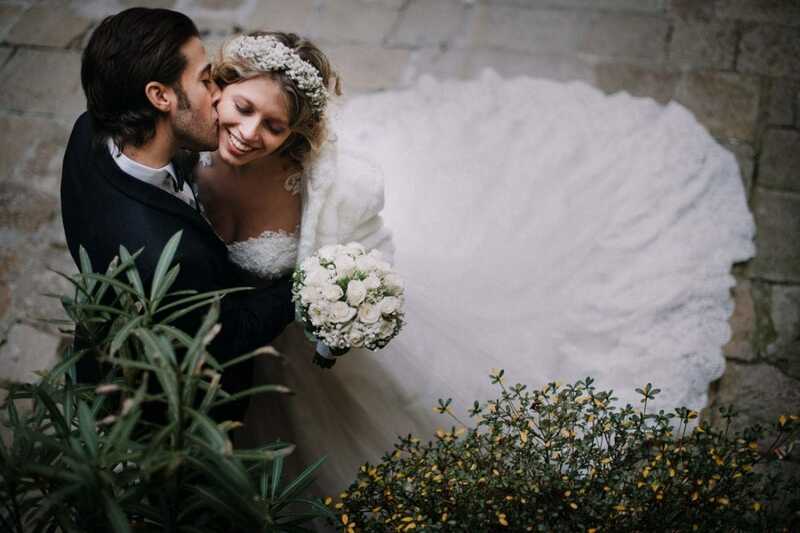 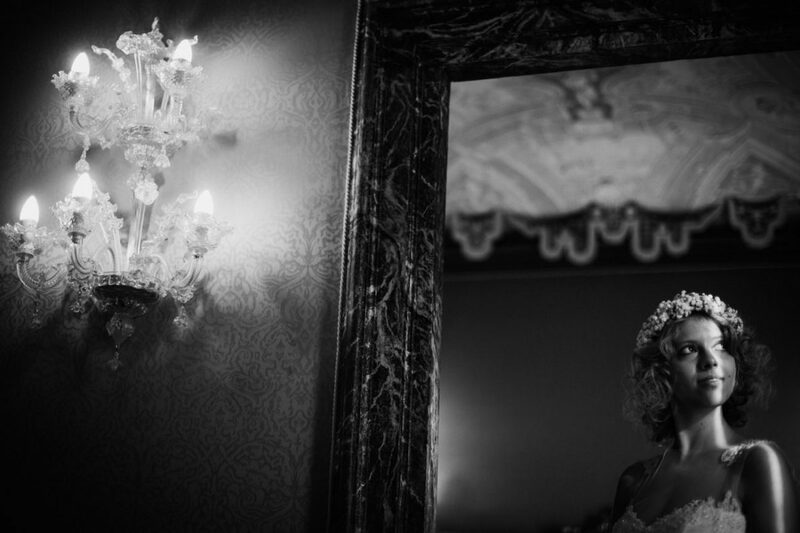 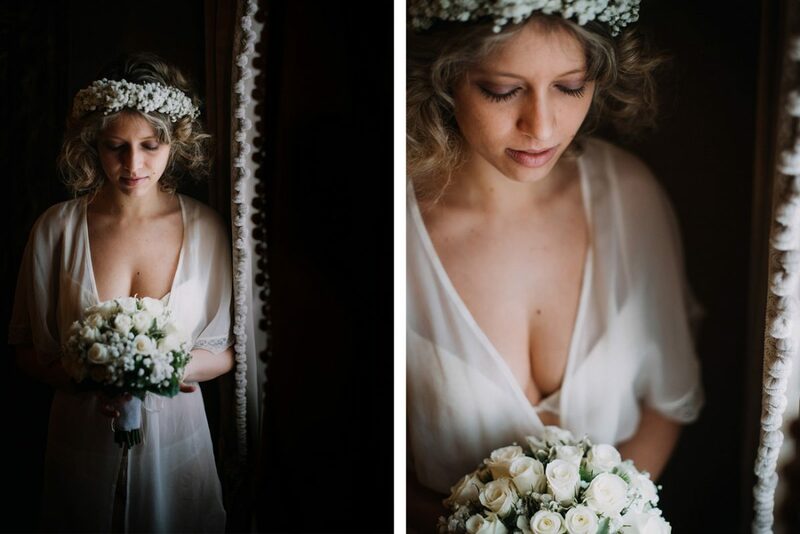 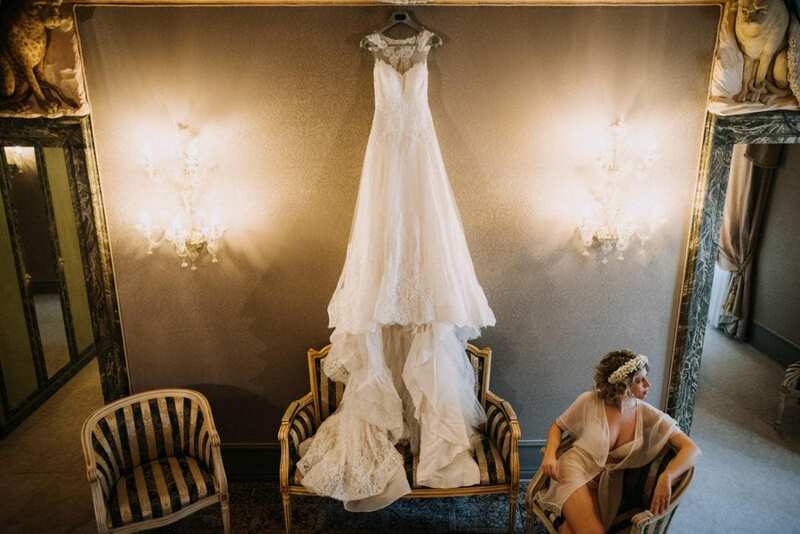 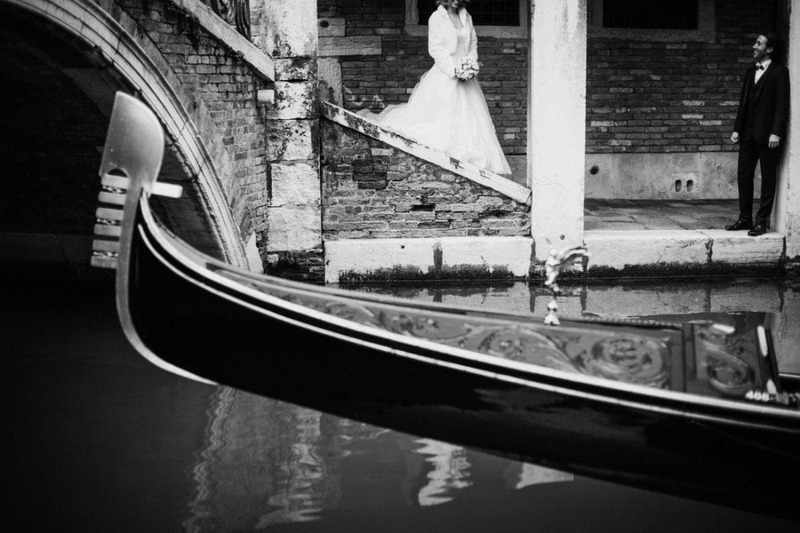 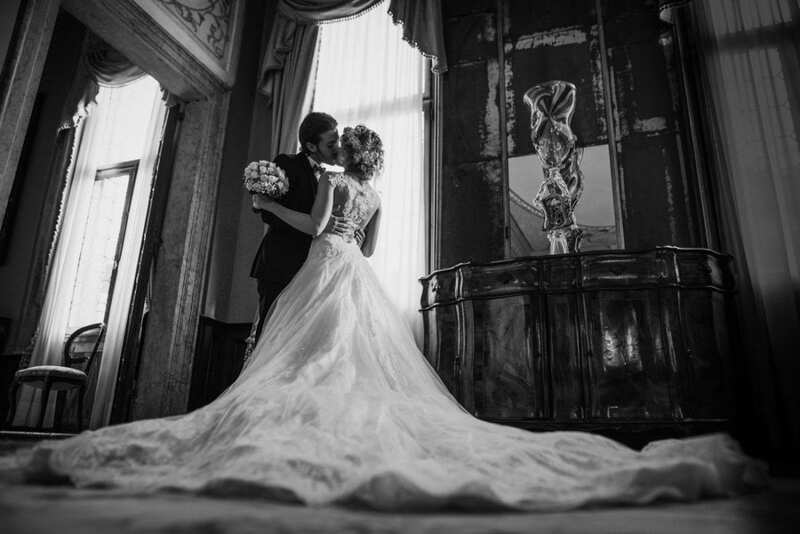 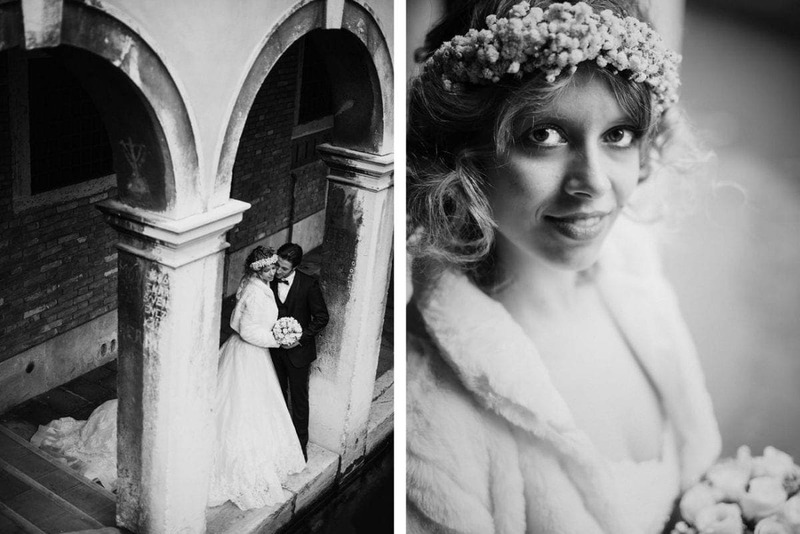 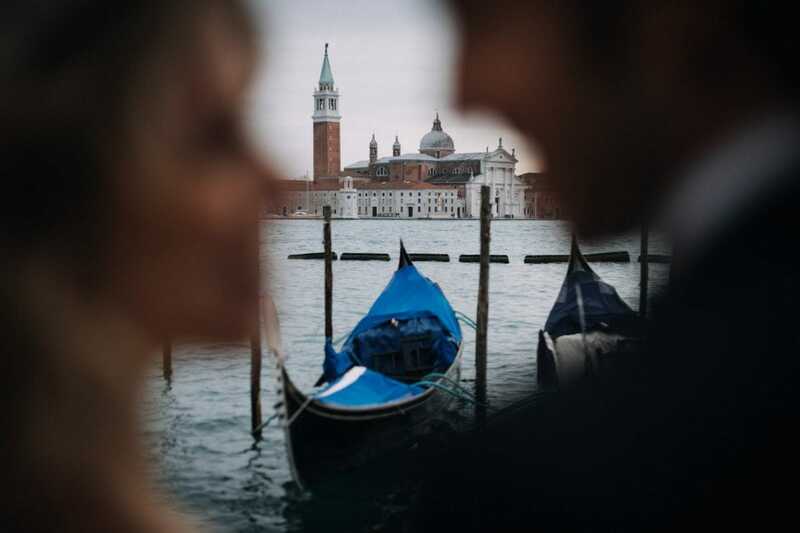 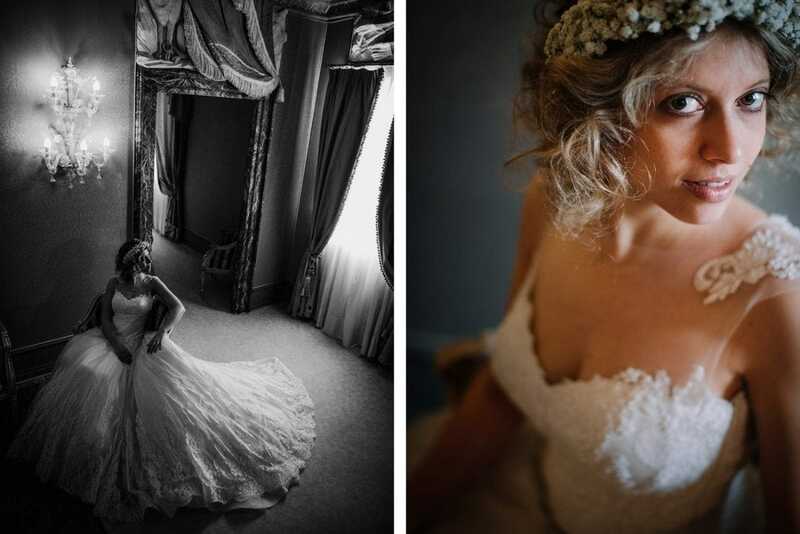 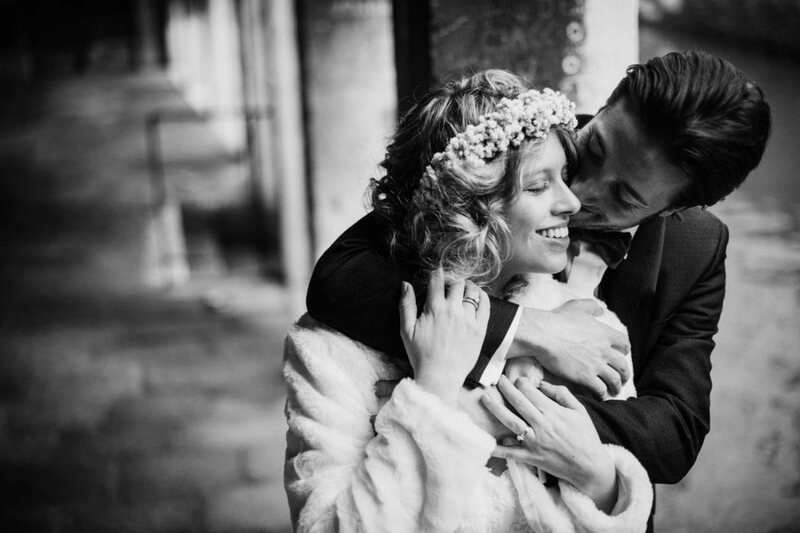 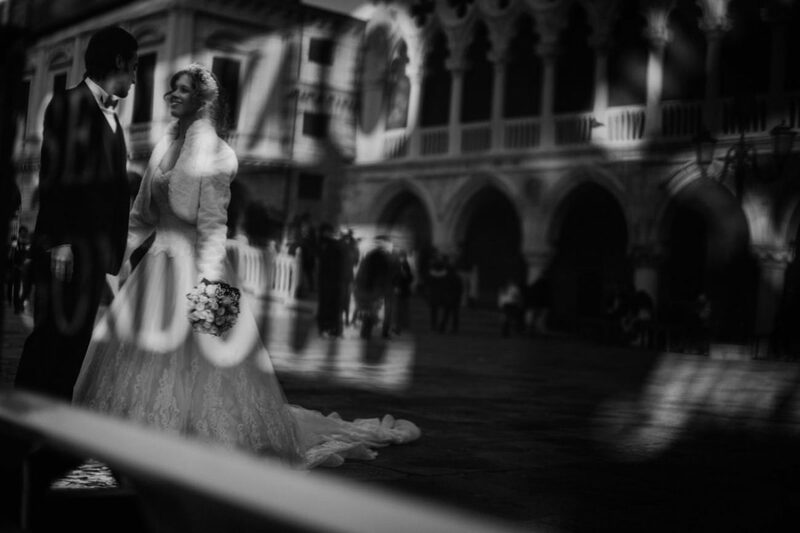 This lovely Elopement Wedding took place in Venice, in the amazing Palace Ca Sagredo in early January. 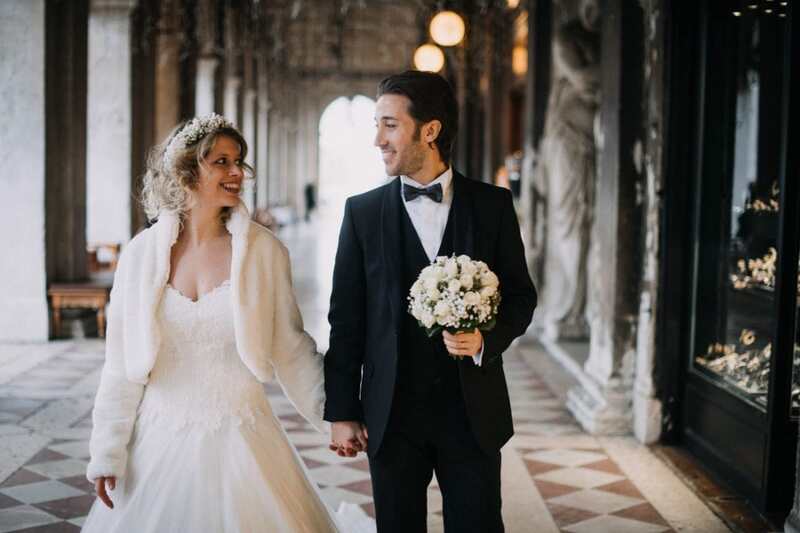 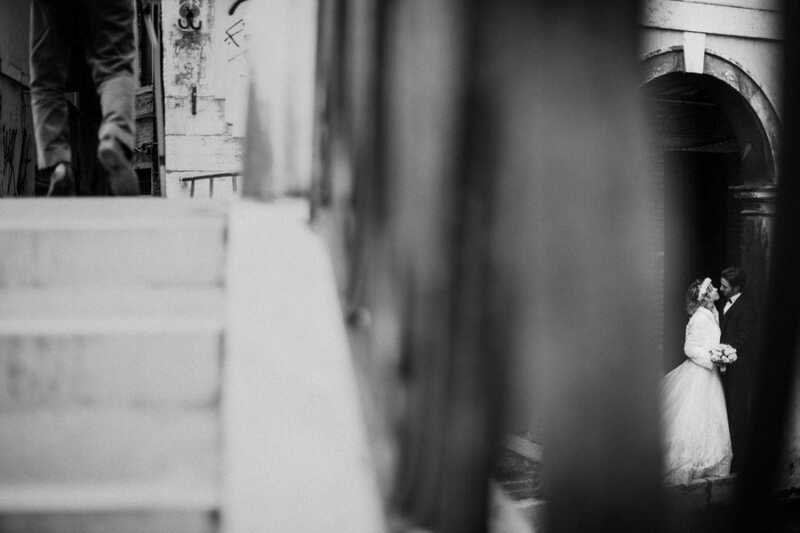 It was a beautiful and sunny day – Elisa and Mattia found the best possible day in a wonderful winter Venice. 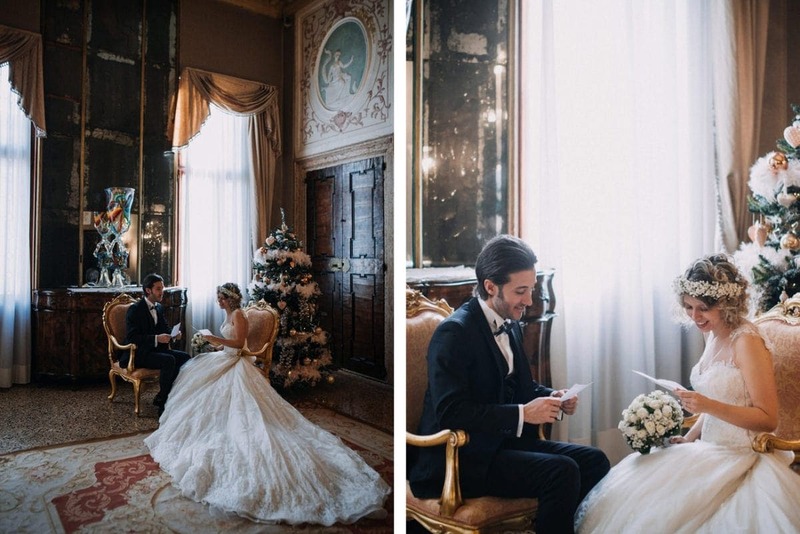 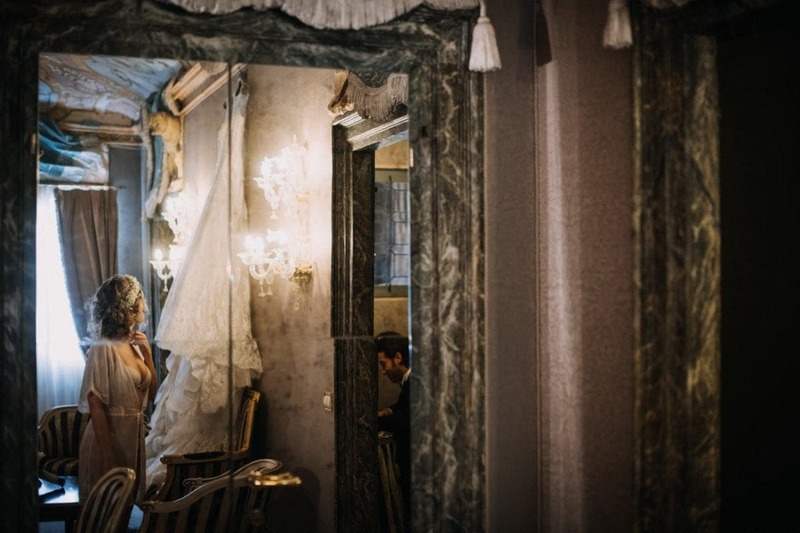 Elisa and Mattia got ready separately in the same Suite of Ca Sagredo. 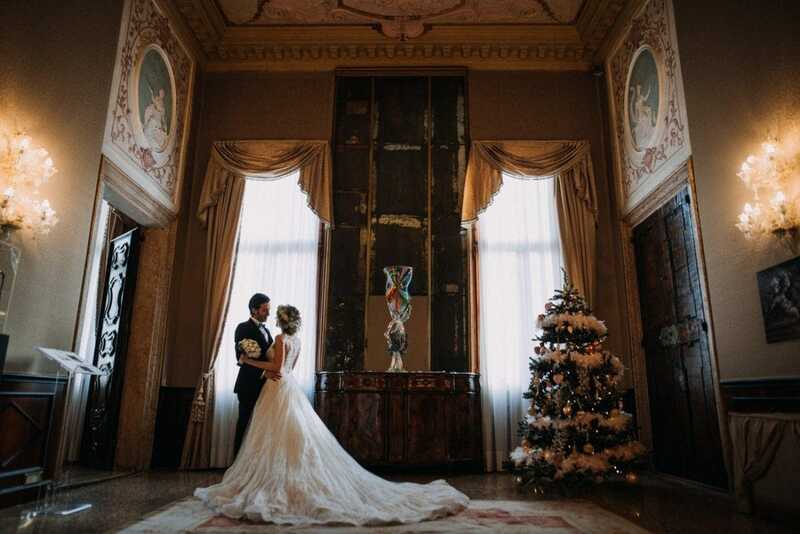 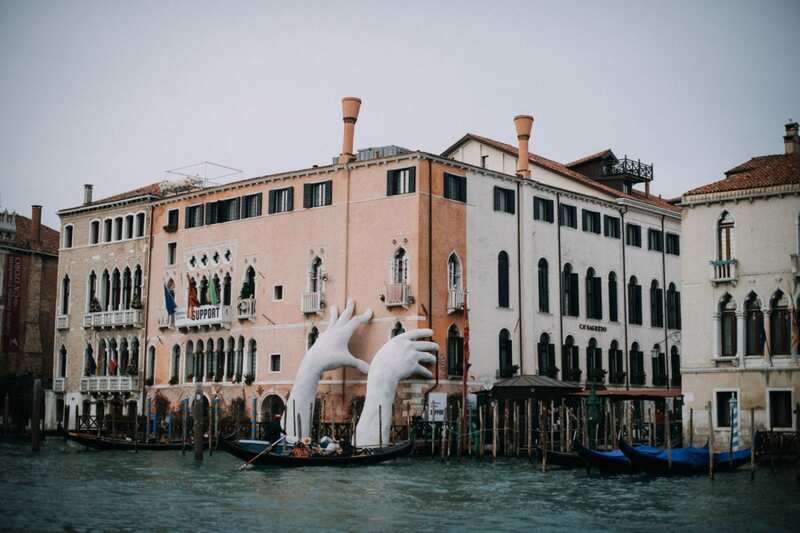 They were staying in the wonderful Suite 316 – once Sala degli Stucchi – an amazing private apartment completely frescoed by Venetian artists of the Eighteenth Century. 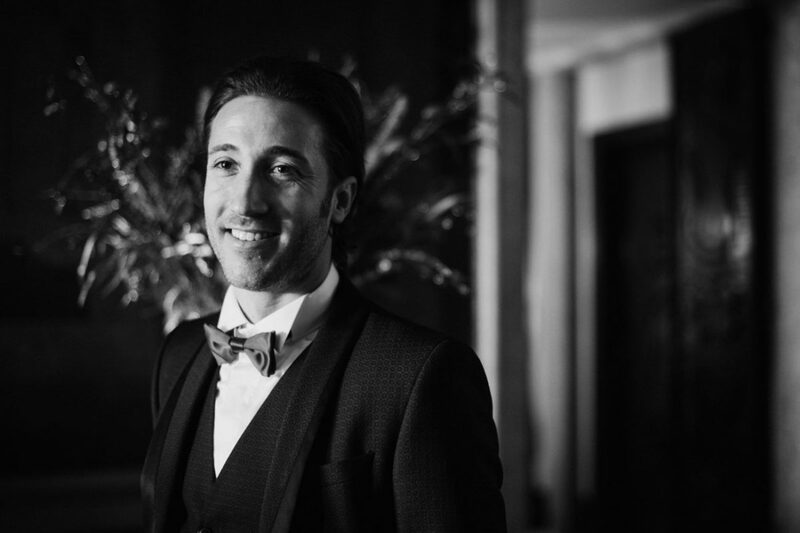 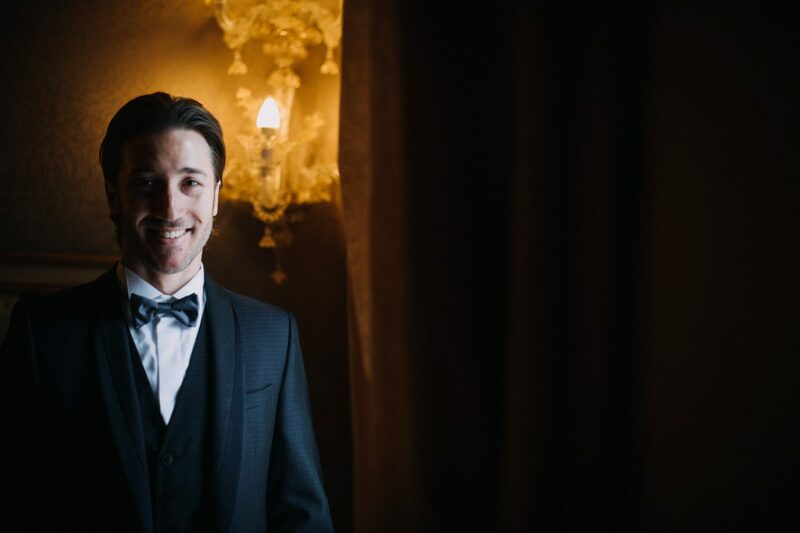 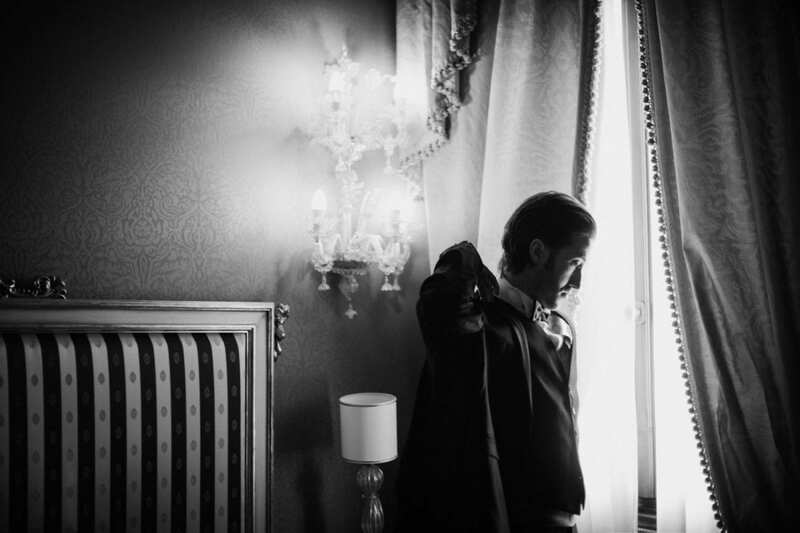 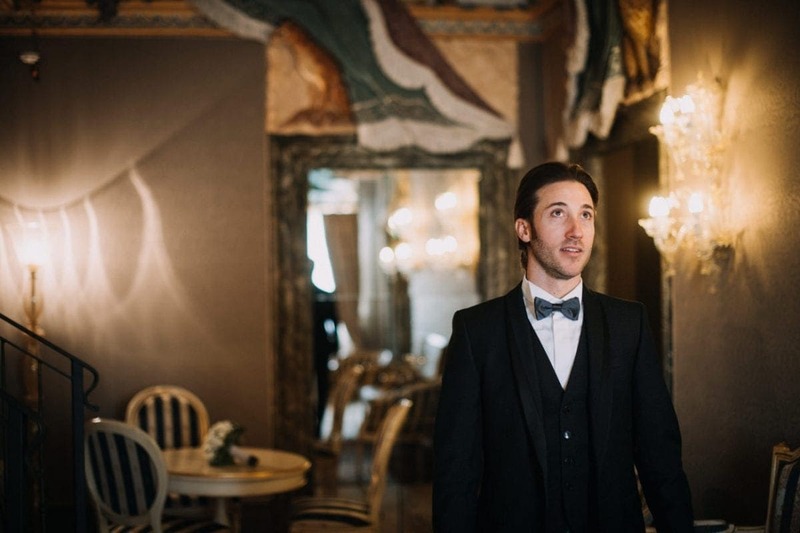 Mattia got ready in the bedroom of the suite, then moved to another room to write his vows. 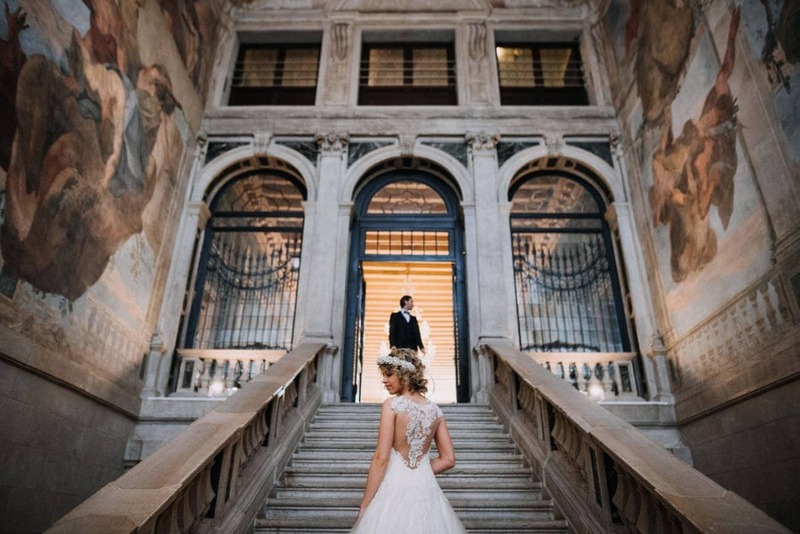 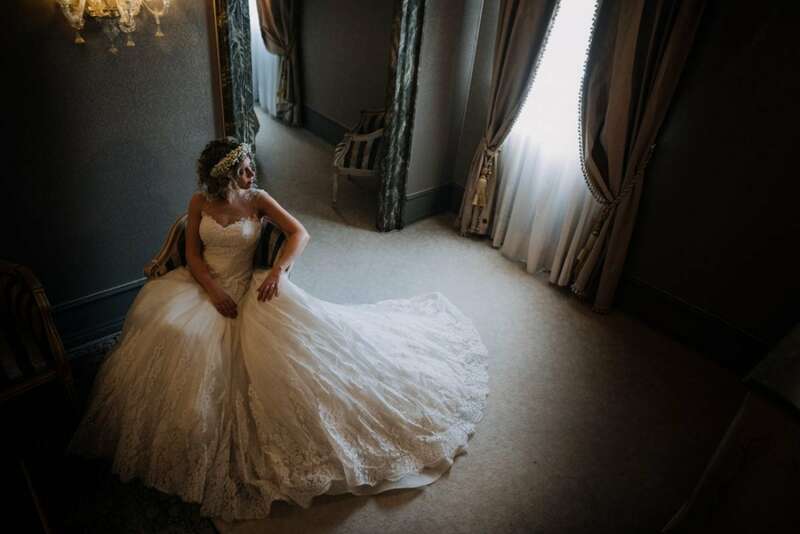 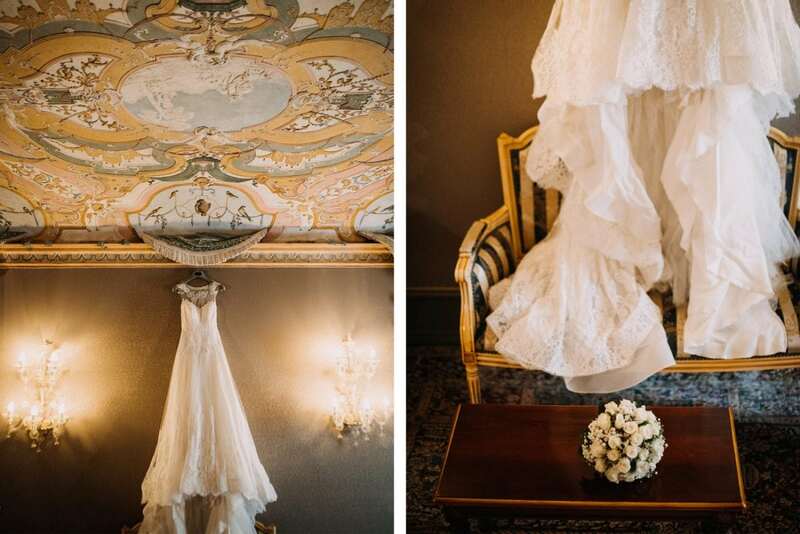 Elisa, instead, put on her amazing wedding dress in the main hall of the Suite, a stunning frescoed room in a perfect Venice style. 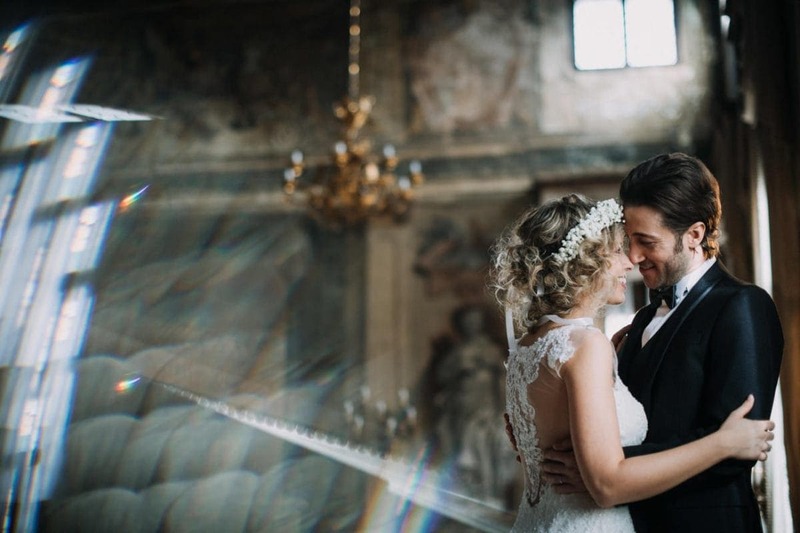 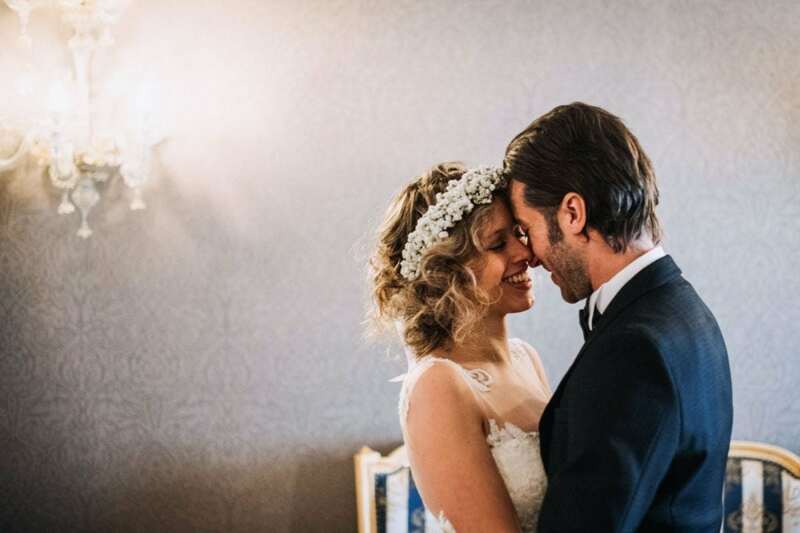 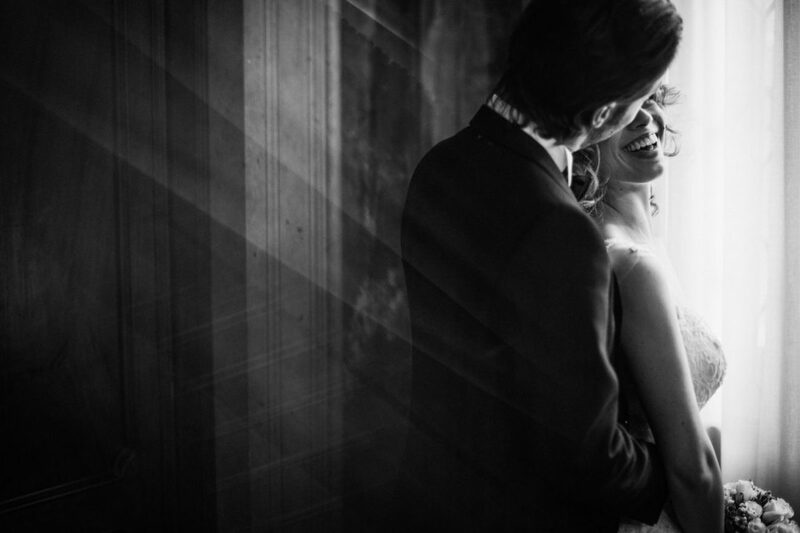 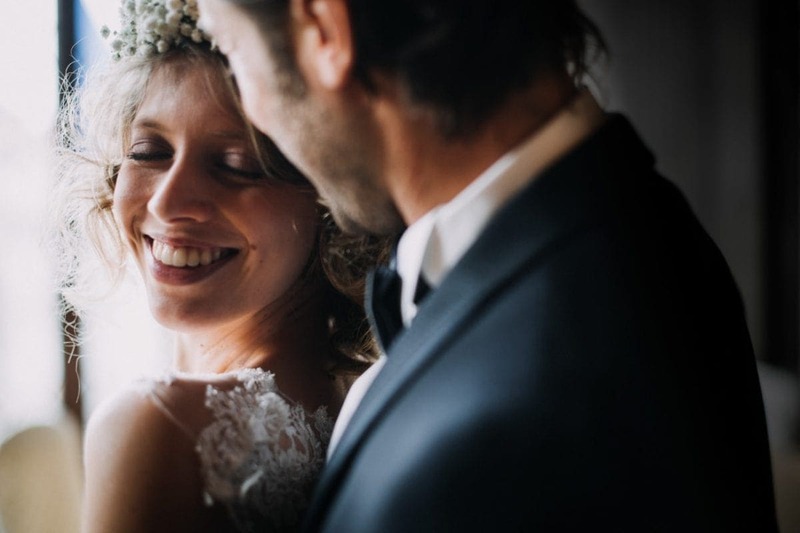 They had their first look there, too – the emotion in their eyes really filled the room! 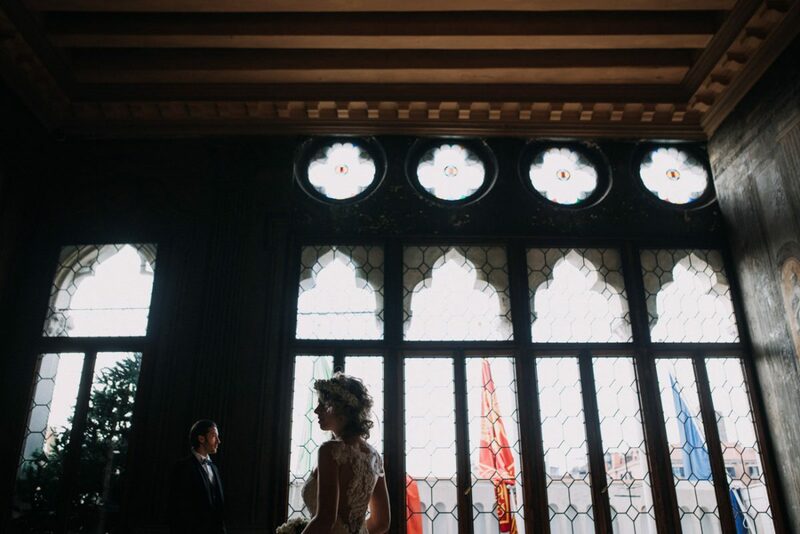 Then we moved upstairs to the Sala della Musica. 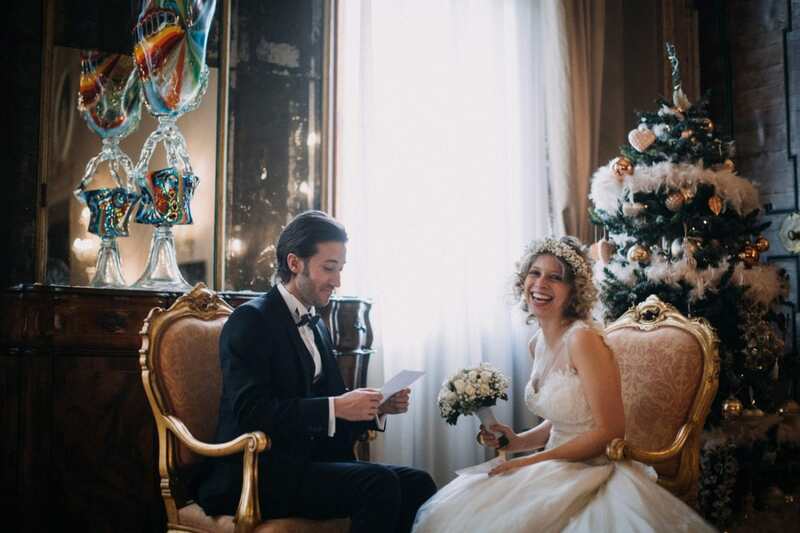 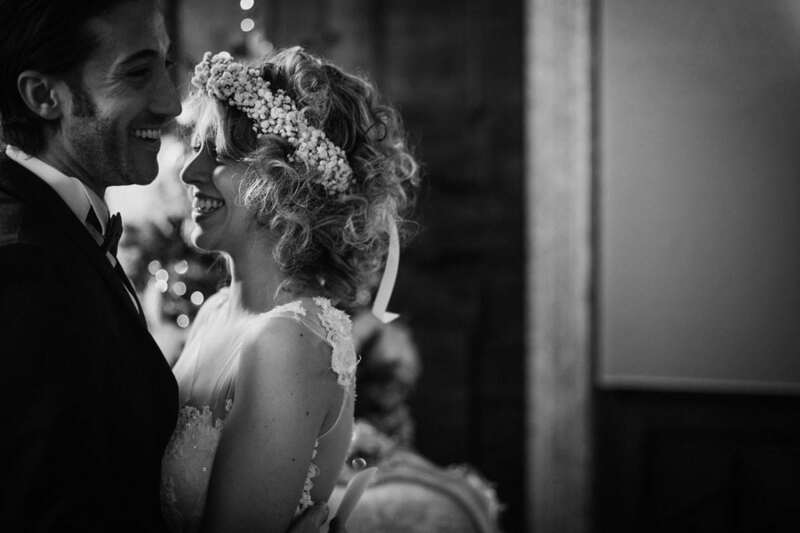 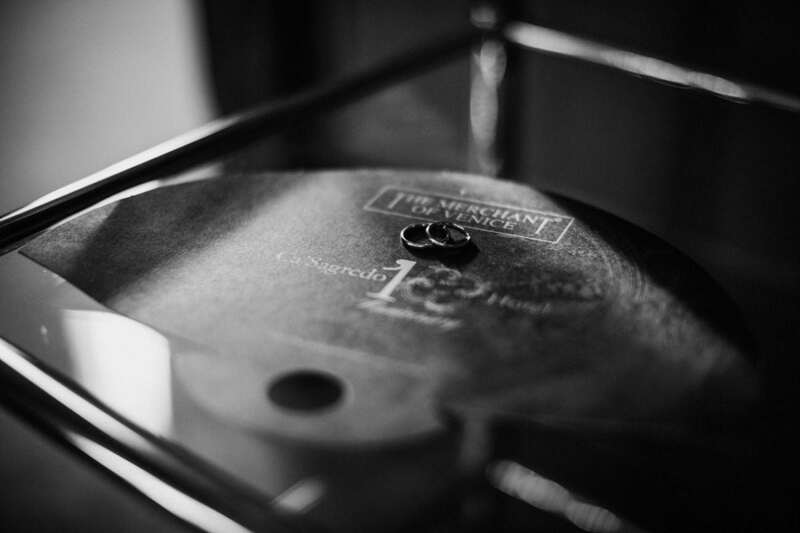 They exchanged their vows and rings in an intimate ceremony in front of the Christmas tree – a lovely moment! 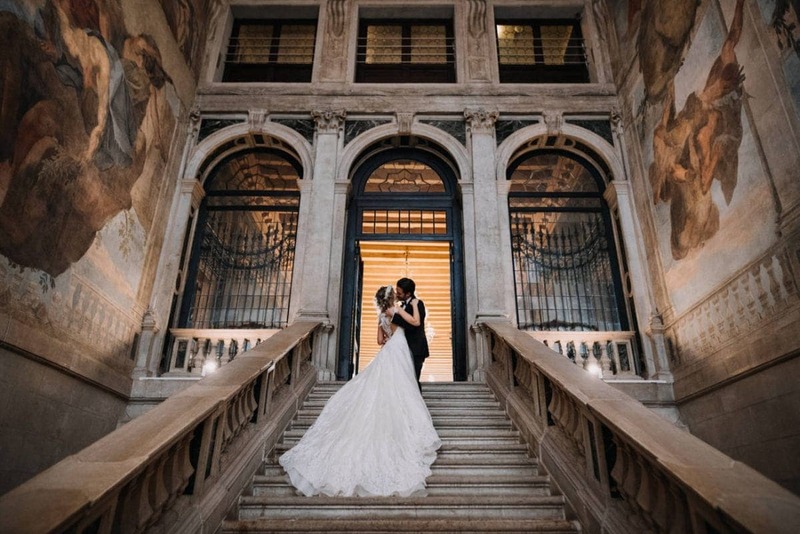 We shot some couple photos in all the main halls of the Palace, so beautiful and so Venice! 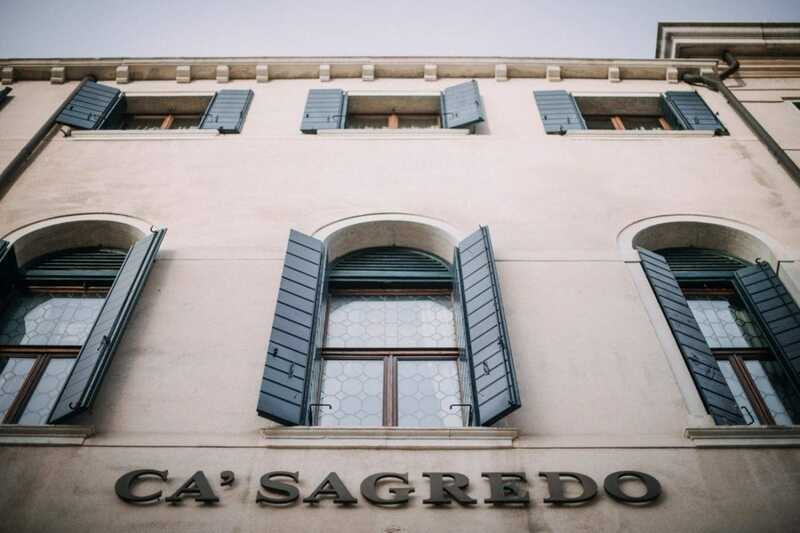 Then we had a walk around the city, as Ca Sagredo is very close to Rialto. 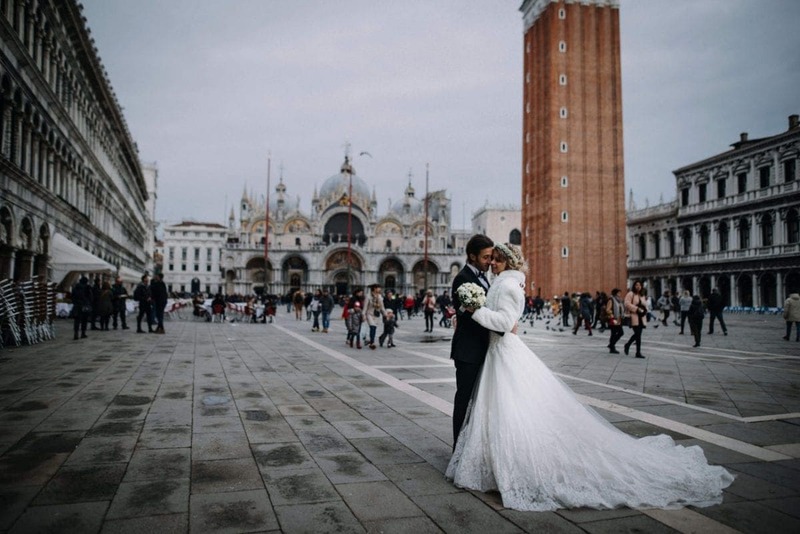 Venice in winter days is amazing – very few tourists, all the Christmas lights still on, a wonderful background for a romantic wedding.